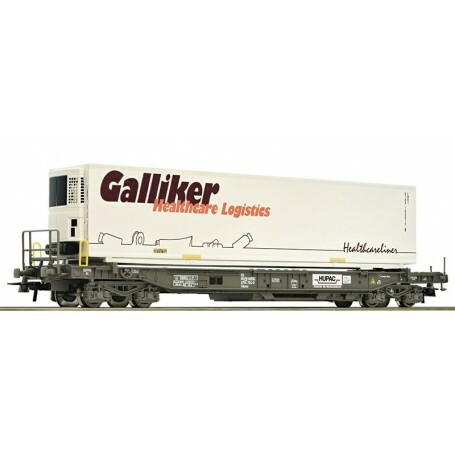  Containervagn typ Hupac "Galliker"
Denna produkt ger dig 439 bonuspoäng. Containervagn typ Hupac 'Galliker', längd över buffertar 189 mm, epok VI. Standard pocket wagon that carries the cooling trailer 'Galliker Healthcare Logistics' of the company HUPAC. Epoch VI. Coupler pocket according to NEM 362 standards with close coupling mechanism.